Aggressive advertising coupled with increasing disposable income will see the market of women cosmetics in Saudi Arabia grow at a compunded annual growth rate (CAGR) of over 11 per cent during 2017 – 2022, a report has revealed. According to a TechSci Research report, “Saudi Arabia Women Cosmetics Market, By Type, By Point of Sale, By Age Group, By Halal Vs. Conventional, By Organized Vs. Unorganized, Competition Forecast & Opportunities, 2012 – 2022”, growth in the market is anticipated on account of increasing per capita income, growing inclination of Saudi Arabian women towards cosmetics products coupled with surging desire among women for trying new innovative products in order to maintain their youthful look. Moreover, widening distribution retail network and increasing visibility as well as accessibility to conventional and halal cosmetics through exclusive outlets, retail showrooms and online channels is expected to aid the country’s women cosmetics market during forecast period. According to the World Bank, the percentage of women in the country’s total workforce was 15.23 per cent in 2014. With favorable government initiatives and growing trend of workplace gender equality, the percentage of employed women in the country is expected to increase further in the coming years, thereby boosting the demand for women cosmetics in Saudi Arabia. The kingdom’s women cosmetics market has been broadly segmented into four categories: fragrances, skin care, color cosmetics and others. 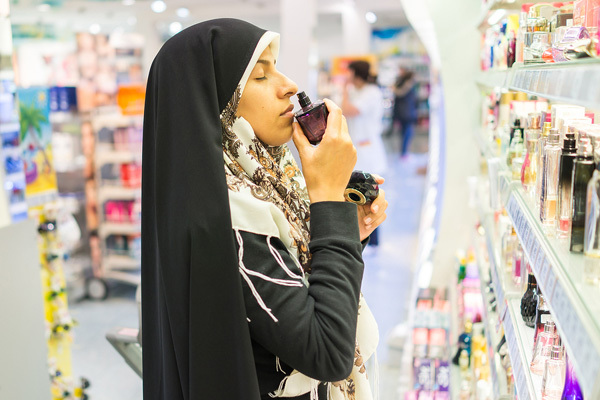 Among these categories, the fragrances segment dominated the market of women cosmetics in Saudi Arabia in 2016, and the segment is expected to maintain its dominance over the next five years as well, owing to growing trend of personal grooming in the country. Some of the major companies operating in Saudi Arabia women cosmetics market are Unilever, Procter & Gamble, L’oreal Groupe, LVMH Moet Hennessy, and Beiersdorf AG, among others.